Today when you log in to the Twilio Account Portal you’ll notice some changes that we think you’ll like. First, we updated the navigation structure, making it easier to get around. Next, we’ve added new platform features like Services and API Keys, giving you additional flexibility in configuration and simplifying how you operate your apps. Over the past year we’ve added a bunch of new features and products, from small updates to major new communications channels like Video. We know that it’s just as important to focus on the operational side of those new features as it is to deliver on the features themselves. Below you’ll find a list of the updates designed to make it faster and easier for you to get to the settings, dashboards, and tools you need. The biggest change we’ve made is to unbundle the content for the Voice and SMS product sections. Previously Voice and SMS & MMS were housed in a single section. We’ve given each one their own section of the site where you can find configuration, developer tools and operational data specific to each product. As we’ve added products to the portal, our navigation has also expanded organically. This led to different products using different menus and the workflow wasn’t the same when switching between them. With today’s update every product section in the portal now has a consistent main navigation menu. Core features have been moved out of the main menu to keep it clean. Each main menu now contains links to the product dashboard, developer tools, logs (as appropriate), and usage. We’ve surfaced feature links in the secondary menu so you can get where you need to go with fewer clicks. Compare the updated versions of the Elastic SIP Trunking and Monitor navigation with the previous versions to see the new menus in action. Short codes are 5 – 6 digit numbers that allow for high volume text message sending. The short codes section of portal lets you apply for new short codes and manage your existing ones. Previously, short codes were listed in the recently launched phone numbers section of the portal. Phone numbers (also known as long codes) can be used with both voice and messaging. Short codes are specific to SMS & MMS so we’ve moved them to coexist in the same space. You can find short codes in the secondary menu in the messaging section of the portal. API Keys are a brand new developer tool that makes it easier manage credentials. API Keys work across all of our product lines so you can find them in the Dev Tools tab of any product section in the portal. Because they span products, keys that you create under one product section will appear together with any product. API Keys are capable of two powerful functions: Access Token management and REST authentication. First, API Keys are used to generate Access Tokens. Access Tokens are credentials that allow client devices (mobile & web apps) to access Twilio resources without exposing your master account credentials (Account SID and Auth Token). If you need to revoke an entire set of access tokens (for example because you have released a new version of your app) you can revoke the API Key and all of the access tokens created by that key are automatically revoked. This provides a simple and powerful mechanism for managing your API credentials lifecycle. Secondly, an API Key and Secret can also be used to authenticate to the REST API in place of Account SID and Auth Token. You can create an API Key for each developer on a team without having to share the master account credentials. When your star developer gets hired by Google you will be sad you lost such great talent, but you will happy for them and happy that you have a simple, granular way to expire their credentials without disrupting the rest of the team. 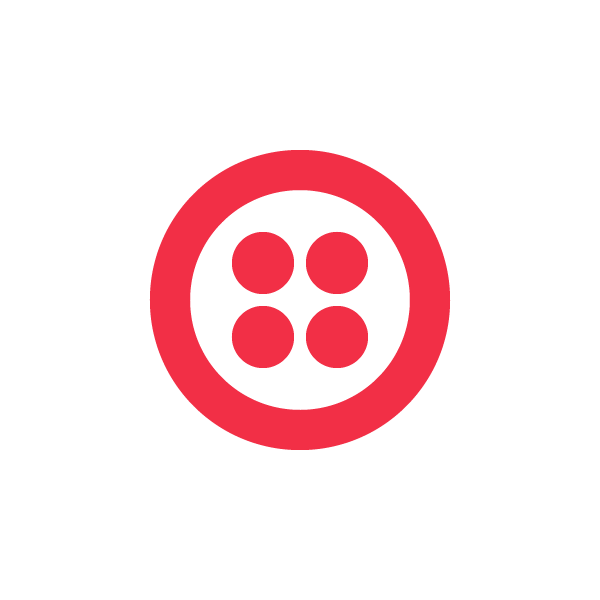 We hope you find the updates the the Twilio Account Portal intuitive and helpful. We’d love your feedback on the changes in the comments below. Please email us help@twilio.com if you need any assistance.